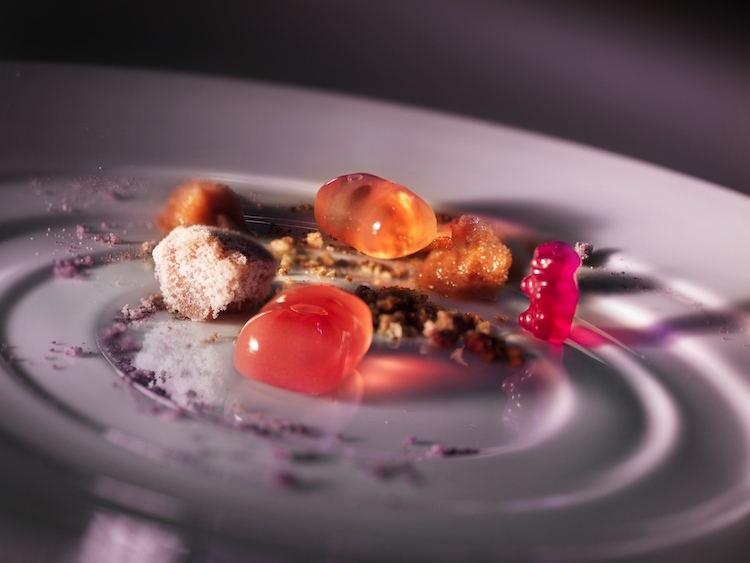 Starting in 2010, chef Paul Pairet, of Mr & Mrs Bund and previously Jade on 36, has stated month after month that his revolutionary 10-seat multi-sensory experience restaurant Ultraviolet would be ‘opening soon’. 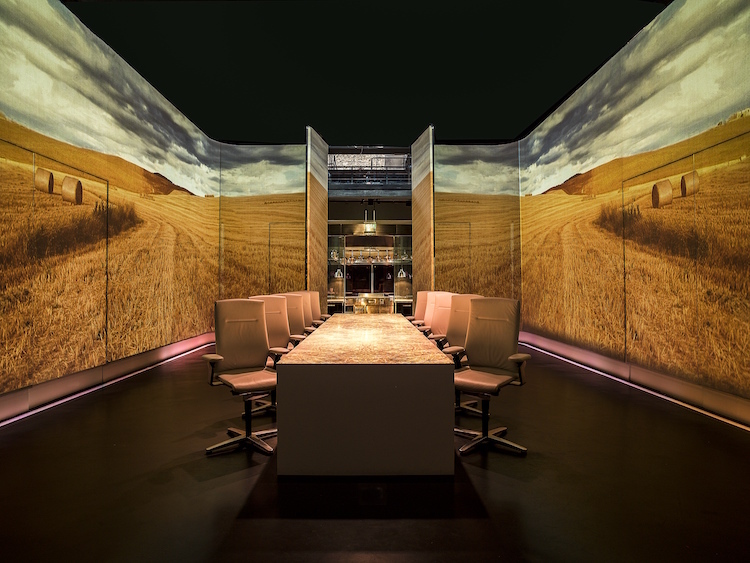 He claimed it would evoke a ‘bold and exclusive dining experience that engages all the senses to create the ultimate luxury: Emotion’. But after months of delay accompanied by extravagant descriptions of this supposedly ground-breaking concept restaurant, the bar was set stratospherically high. Could anything live up to the hype? 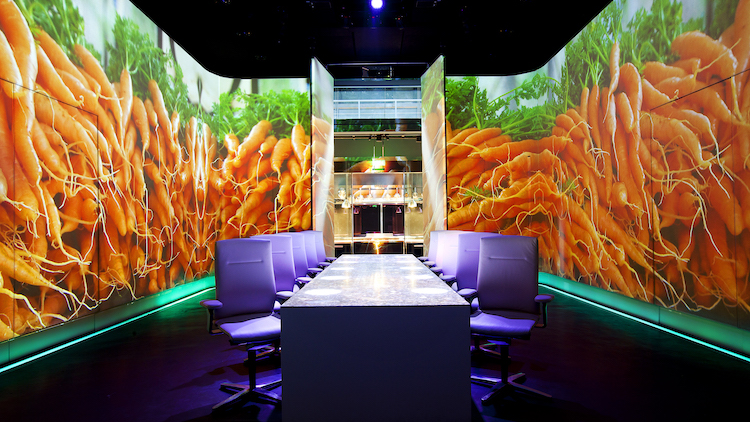 In 2012, we got an exclusive preview of Ultraviolet, a sort of dress rehearsal for the final draft of the restaurant which has finally rolled out in May. And after this, admittedly invited, tasting, we can say definitively that yes, Ultraviolet is radical and it was very much worth the wait. Ultraviolet is located in a secret location in an old Shanghai neighbourhood. 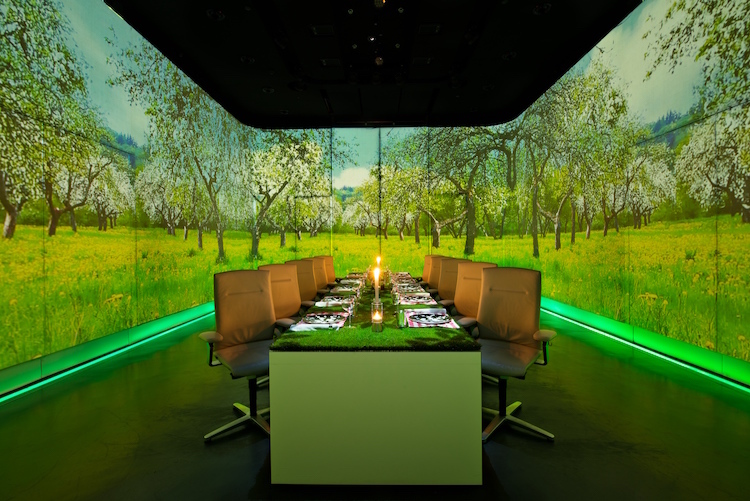 After being driven to the restaurant by their private driver, you enter a set of inconspicuous double doors and cross into Pairet’s fantasy restaurant: a mixture of James Bond lair and mad scientist laboratory. Mesh metal doors slide open without any visible human attendants. Your chilled drink awaits on a bar counter of raw wood. After a few sips, another door slides open, beckoning you down a hallway lit by a Baccarat crystal chandelier. Then, a final set of doors slides open. You can’t help but laugh as the 2001: A Space Odyssey opening chords play while you step into the all-white dining room: a plain rectangular table flanked by ten white adjustable chairs. The dining experience begins. 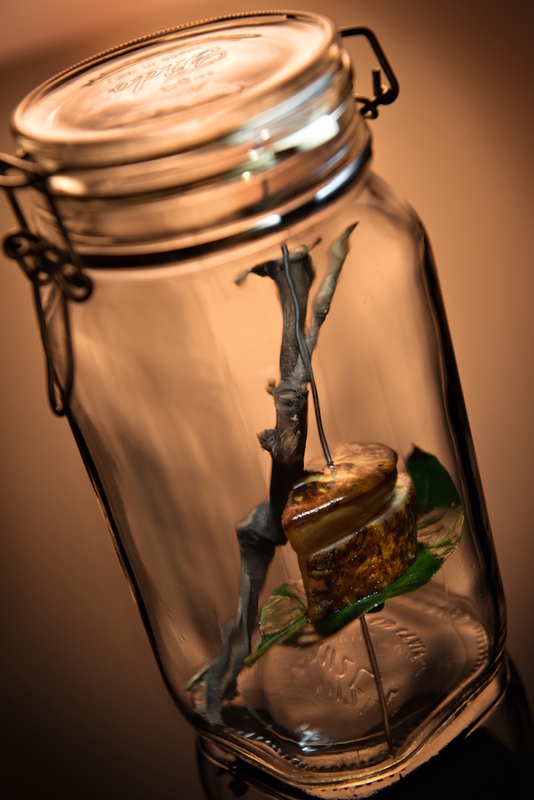 Each course is paired with 360 degree video projections, surround sound music (a different song tailored to each course) and even custom scents: sometimes they waft from a pressure cooker which is hand carried around the room, sometimes from a scent machine installed in the ceiling and with one course, the scent of cigar smoke captured in a glass dome is held up to your nose by a waiter. 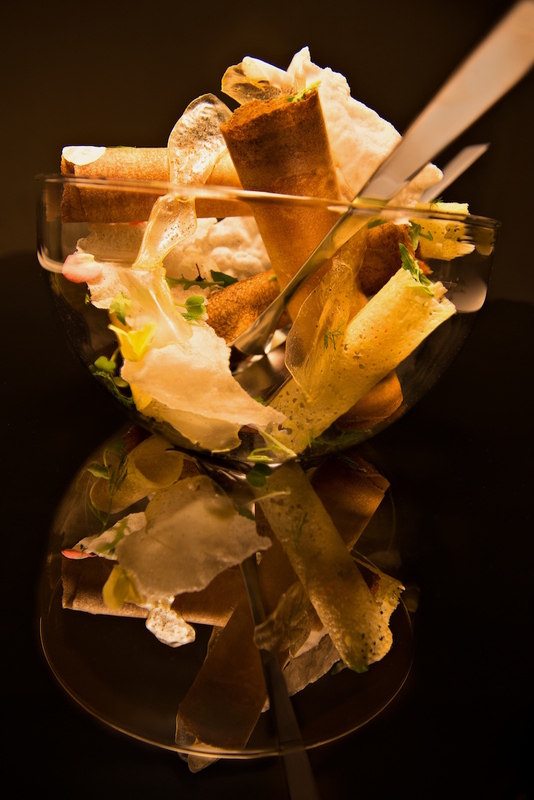 The full dinner includes 20 ‘avant garde’ courses with names such as ‘Foie gras can’t quit’, which is an extraordinary edible ‘cigarette’ of foie gras wrapped in a shining fruit-flavoured ‘skin’ and presented in a shining silver ashtray. You dip it in ‘cabbage ash’ while a projection of cigarette ash wheels around you on screen. 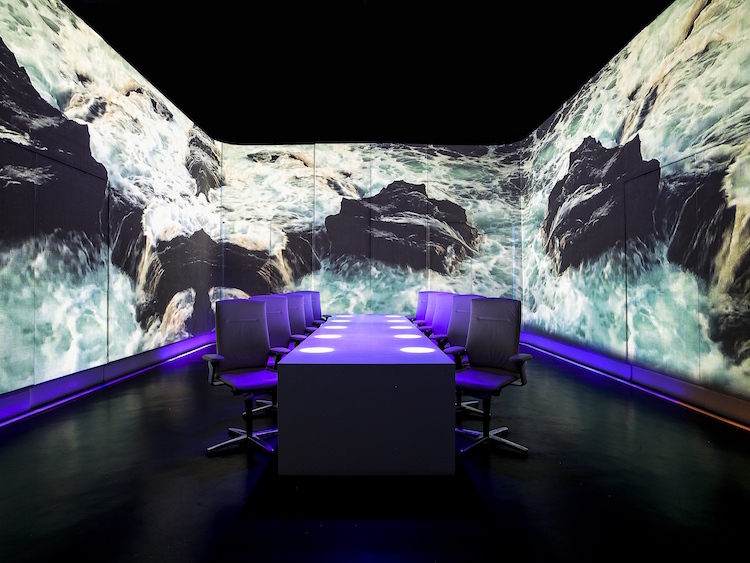 For other courses, many of which are paired with drinks ranging from dessert wine to peppermint tea, projections include crashing ocean waves, ancient trees in fog or Indonesian masks. A ‘micro fish and ship’ course is actually a single giant caper berry deep fried in batter and paired with anchovy tartar sauce. The food is central to the night, never just a prop; each meticulously crafted bite is so delectable, we’re left craving more after nearly every course. Realising this state-of-the-art project took years, in part because of the complexity of the audiovisual components. The ten-person dining room alone was rebuilt four times by three different crews before they got all the systems working properly. Thanks in part to sponsorship of around 30 per cent of the restaurant’s equipment, Pairet and team have amassed an astonishing 4,500 pieces of tableware from designer brands like Raynaud, Legle, Zwiesel Kristallglas and Studio William. After dinner, guests get a tour of the kitchen, which is almost comically larger than the dining room and outfitted with boggling high-tech wizardry from sponsoring brands including Molteni, Electrolux-Professional, Miele and Kohler. The price tag for an evening at Ultraviolet? Starting from 3,000RMB. What kind of bargain is that? Ultraviolet not only claim to have one of the highest ratios of investment-to-customers in the restaurant world but, with 25 chefs and waiters working to serve and entertain just ten diners, they say they’d need to charge 5,000RMB/guest just to break even. So grab your ‘bargain’ reservation now, it’s your ticket to the outer realms of dining. See www.uvbypp.cc to make your reservations. This preview was based on an invited tasting and is therefore not featured as a starred review.